How can we reduce plastic in our oceans? In today’s classrooms, teachers use project-based learning (or PBL) so that students can come up with potential solutions to real-world problems like this. With PBL, students identify the problem, research a solution and support it with evidence—all while learning valuable skills they’ll use long after graduation. Brainstorming these dynamic solutions can be an exciting and creative challenge for young minds. Technology can help motivate and spark imagination in ways that static textbooks can’t. 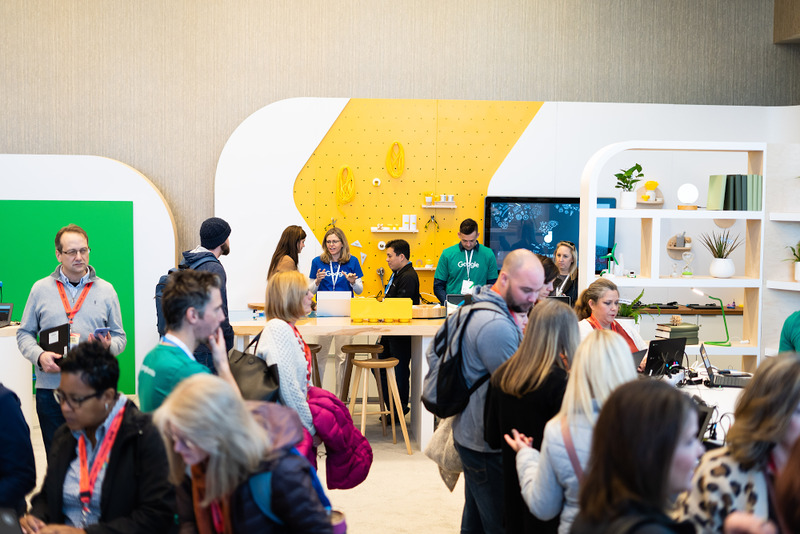 Last week at SXSW EDU, we helped educators experience the power of technology-enhanced PBL first-hand, with a demo on how to create differentiated and personalized learning using technology in the classroom. 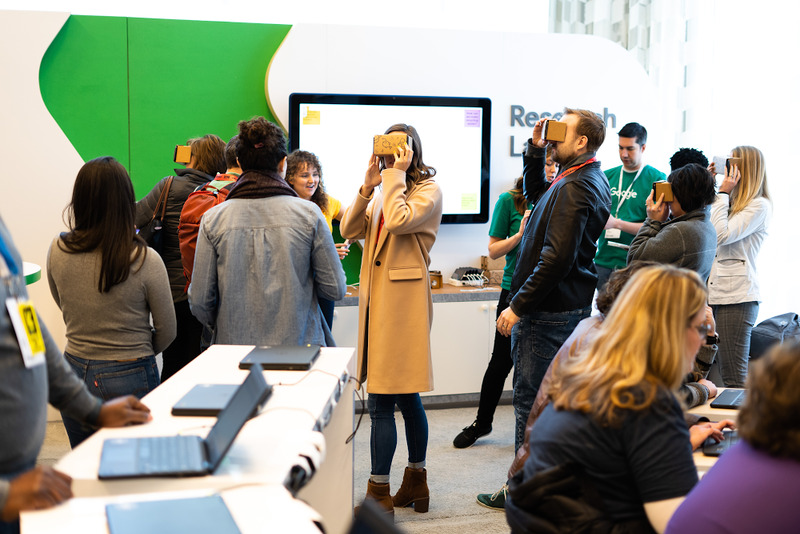 The interactive demo let people get hands-on with educational tools from G Suite for Education, Chromebooks, Jamboard, Google Expeditions AR and VR and engaging third-party applications. Even if you didn’t attend SXSW EDU, you can recreate the lesson on removing plastic from our oceans with your students. Follow this guide to bring the magic of Google tools to your students and facilitate a collaborative, intelligent, connected and creative learning space. First, you’ll need to introduce the challenge of reducing plastic in our oceans and identify key facts about pollution in our oceans. Step 1: Use Google Classroom to introduce the task. You can use Google Classroom to create individual copies of materials for each student, in just one click. As an example, click here to make a copy of this lesson plan. If you’re using a different Learning Management System (LMS), Course Kit lets you integrate that LMS with G Suite. Step 2: Use “Explore” to find and cite a key quote. Open the Google Doc provided in Step 1 and click the “Explore” button in the bottom-right of the document. The “Explore” functionality makes it easy to add citations to materials you referenced across the web. Step 3: In the Google Sheet, use “Explore” to analyze waste data for Austin, Texas. Here, the “Explore” feature leverages the same machine learning technology used by Google Search and Google Assistant. Step 4:Takethis quiz in Google Forms to test your knowledge on the topic. Google Forms automatically grades your students’ work—saving you from having to do it manually—and give them feedback on how they did. Bonus:Test out the new “locked mode", only available on managed Chromebooks. This new feature (which is currently in beta) prevents students from navigating away from the Quiz until they submit their answers. Next, students will use research skills to understand the root of the plastic problem and collaborate with experts and peers. Step 1:Use Google Earth to explore real data on plastic moving across the oceans. You can also use have your students use Google MyMaps to compare the size of the Pacific garbage patch to several US states. Step 2: Use Hangouts Meet to meet experts in the field. Hangouts Meet is a great tool to connect students with experts and each other though secure video and messaging. Step 3:Go on a virtual reality tour of the ocean with Google Expeditions. This tour is just one of more than 150 AR and 900 VR tours you and your students can experience. You can now view and guide tours you’ve created yourself using Tour Creator on both Android and iOS. Step 4:Use a Jamboard to work together to discuss what you’ve learned so far. Now that your students have dug into the problem, they can collaborate on the Jamboard or Jamboard app to answer key questions about the plastic problem and discuss what they have learned while researching. Bonus:If you have a Vernier©️ sensor, use the Science Journal Android app to run an experiment testing how oxygen levels are affected by plastic in the ocean. Science Journal transforms devices, like you phone, into a pocket-sized tool for conduct fun science experiments—no fancy equipment required. Finally, uplevel the lesson even more by generating creative solutions to the plastic problem based on everything we learned during instruction and research. Here’s a guide that suggests specific tools to use. Step 1:Create a VR tour with Tour Creator. Your students can help increase awareness of the plastic problem by creating their own immersive, 360° tours right from their computers. With this creative challenge, students can sharpen critical thinking and creativity skills, while building something they can add to a digital portfolio. Step 2:Create a website using Google Sites to outline possible solutions. Sites gives you an easy-to-use tool to build websites, host course curriculum and encourage students to build their development skills. Step 3:Use Teachable Machine to create your own trash sorter. Your students can make it easier to recycle by training their computers to recognize and sort different types of trash using Teachable Machine, an AI experiment that requires no coding. Step 4: Make an automatic stop-motion animation with Google Photos. 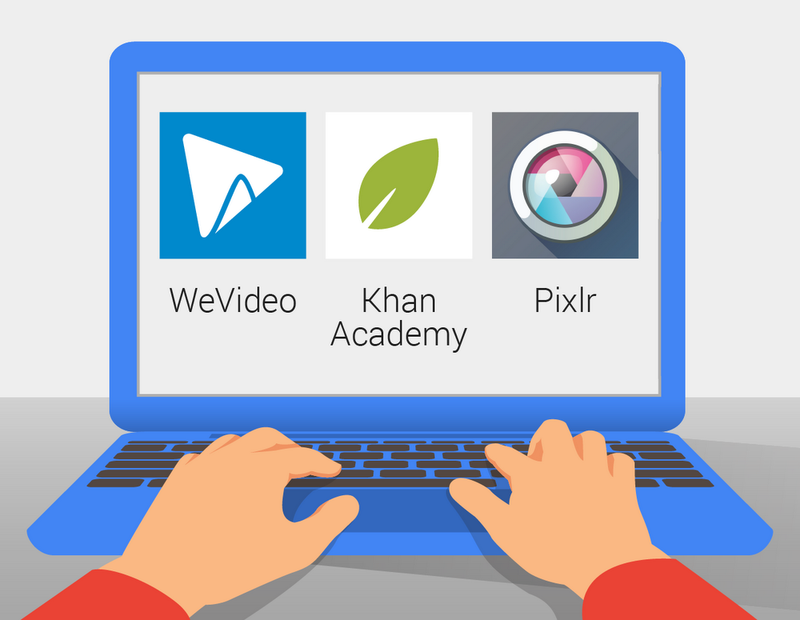 With Google Photos, you can store and edit an unlimited amount of photos to use in your lessons. Step 5: If you have a Jamboard, you can use it to collaboratively review and workshop creative solutions to removing plastic from the ocean. No physical Jamboard? No problem, check out the free web-based version. 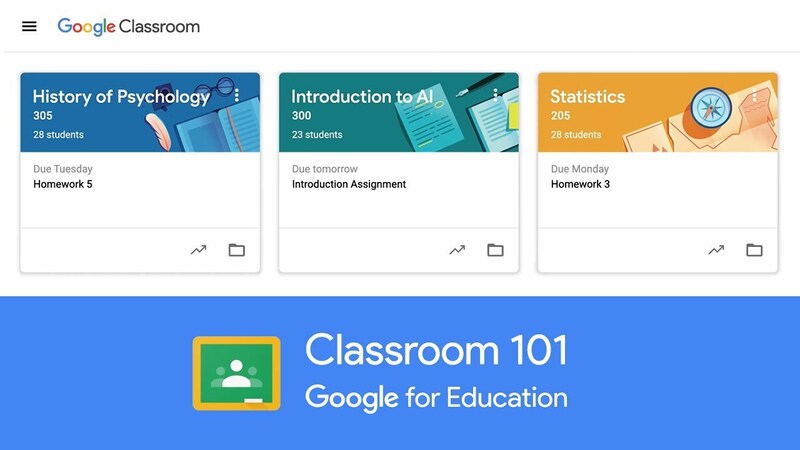 Whether your students prefer to learn through video, reading, collaboration, hands-on experimentation or testing, Google tools allow you provide an engaging educational experience for every type of learner. 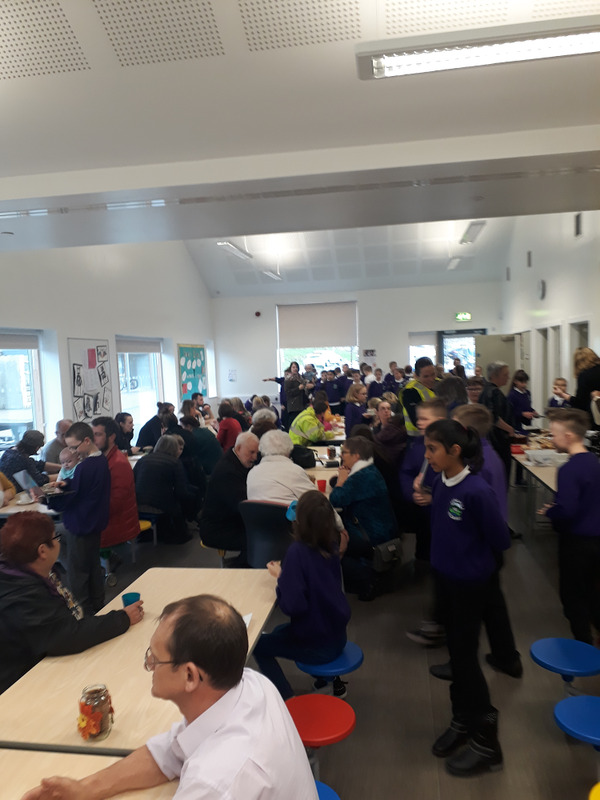 This entry was posted in Google Chrome Blog and tagged Chromebooks, classroom, Education, G Suite on March 15, 2019 by Google Chrome. For students, gaining digital skills and building confidence often starts in the Community Cafes, but continues through students’ development of learning portfolios, which are records of their classroom projects and their accomplishments. The portfolios help pupils take ownership of their learning and show what they've accomplished to peers and parents. These portfolios used to be on paper. When we switched to online portfolios, students could be more creative in telling stories about their academic careers—for instance, by creating video book reports and adding photos of themselves and their classmates. They build portfolios using Google Sites—a much more flexible and engaging tool than paper portfolios that weren't easy to share and frequently misplaced. Students use the Padlet app with their Chromebooks to write regular reflections about their work, and embed the Padlet pages into their Google Sites. Using YouTube, students work with their peers to create vlogs about stories they write themselves. By the time students reach Year 7, they can teach their younger classmates how to build online portfolios—a confidence-building exercise for those about to move on to secondary school. This entry was posted in Google Chrome Blog and tagged Chromebooks, classroom, Education, G Suite on February 21, 2019 by Google Chrome. This entry was posted in Google Chrome Blog and tagged Chromebooks on February 4, 2019 by Google Chrome. Editor’s note: This week, we’re joining thousands of educators and students at BETT in London. Visit us at booth C230, where you can demo a range of Chromebooks designed for education, including the brand new Chrome OS tablet. Follow along on Twitter and Facebook for the latest news and updates. Power up a Chromebook and watch as it transports students to the Taj Mahal, the Great Barrier Reef or a state-of-the-art science lab. It’s like magic, except the magicians are the teachers who inspire engaged and focused learning. As the leaders of these journeys, teachers give students the opportunity to explore the limits of their imagination—all on a device that’s simple to use and easy to navigate. While we’re here at BETT, we’re exploring more ways to bring magic moments to the classroom. So open up a Chromebook, and try out a few of the things it can do. 1. Learn with adaptable Chromebooks:We’re launching more devices for education, with 25+ new devices in 2019. Choose from tablets like the Asus Chromebook Tablet CT100, convertibles like the Acer Chromebook Spin 512 with a 3:2 screen ratio for a taller display to see more content, the Lenovo 300e Chromebook, and clamshells like the Dell Chromebook 3400. Chromebooks aren’t just for students—educators are turning to high performance devices like the Google Pixel Slate, Pixelbook and HP Chromebook x360 14. 2. Explore built-in security and accessibility features:When you customize your security settings with multi-layered security, automatic updates, individual profiles and data protection, they’ll follow you no matter what device you log into. Learn more about customizing settings in G Suite and on Chromebooks to support all learners—including those with visual aids, auditory aids and more. 3. Become an Internet Legend:With our online safety program developed in partnership with the experts at Parent Zone, all Key Stage 2 primary school teachers can now order the Be Internet Legends curriculum pack for free. It’s available in new languages, including Arabic, Belgian, Italian, Polish and will soon be available in Turkish. 4. Plan with Classroom and Course Kit:In addition to the new Classwork page, Classroom has a refreshed look and feel. And if you love G Suite but use a different LMS, you can now use Course Kit, a free toolkit that incorporates G Suite into your existing LMS. 5. Collaborate with Jamboard: Create, edit, and view Jams (a “Jam” is a collaborative whiteboard space) on your Chromebook or from a Chrome browser with Jamboard or the Jamboard app. You can now modify frames, switch quickly from selection to drawing and use familiar keyboard shortcuts when jamming. Soon, you’ll also be able to add images. Head over to Workbench for a new course on student agency and engagement using Jamboard. 6. Explore the world in Augmented and Virtual reality:Now students can create VR tours using Tour Creator on their Chromebooks, and view them together through a guided experience using the Expeditions Android app (coming soon to iOS). We’re also translating our most popular VR and AR tours into Arabic, French, German, Hindi, Italian, Japanese, Korean, Portuguese, Russian and Spanish. 7. Sign up for the locked mode and Gradebook betas:On managed Chromebooks, locked mode prevents students from browsing away from the Quiz until they submit their answers. The new Gradebook in Google Classroom lets you check grades, see average grades by student or assignment, and choose to calculate grades by weighted average or total points-based. 8. Code with CS First: We recently introduced CS First + Scratch 3.0, the latest version of the coding language designed for kids. The 3.0 version is complete with new videos and digital materials, plus lesson plans easily shareable in Google Docs. Check out the CS First Starter Guide and learn more about Scratch 3.0. 9. Prepare for the future with Applied Digital Skills: Students learn critical thinking, collaboration, communication, creativity and digital skills with new lessons mapped to the UK Essential Digital Skills Framework and the Computing National Curriculum in England, all on the new UK English Applied Digital Skills website. 10. Get hands on with Science Journal:Now, you can sign in with your G Suite for Education account to save and access your experiments across your devices using Google Drive. Check out new training modules and lessons on the Google for Education Teacher Center and Scholastic. For more hands-on science, order the new Science Kit from Arduino for middle school science classrooms, or try out Science Journal’s Android app with Vernier's new Go Direct line of classroom sensors. 11. Travel the globe with Google Earth:Bring the whole world to each desk in your classroom, no download required. Students can quiz their animal knowledge in Street View, learn about weather, volcanoes and sea surface temperature with map layers, measure area and distance, and see 3D views of buildings and landmarks. 12. Learn with the Teacher Center:We’ve added new trainings on Jamboard, CS First, Applied Digital Skills and Science Journal. To support educators globally, the Teacher Center is now localized in 17 languages, with Italian coming later this year. 13. Engage with the education community:Looking for an expert? Coming soon, an updated Google for Education Directory can help you find a local expert to assist a school in any number of areas including teacher trainings, transformation support and advice from other schools. Looking for in-person interaction? We just announced our 2019 Innovation Academies, with more locations including Stockholm and London, so apply now. Visit us at BETT this week to check out the entire ecosystem of our tools, and if you’re not able to be with us in London, stay tuned on Twitter for more news. This entry was posted in Google Chrome Blog and tagged Chromebooks, classroom, Education, G Suite on January 23, 2019 by Google Chrome. This entry was posted in Google Chrome Blog and tagged Chromebooks on December 13, 2018 by Google Chrome. Earlier this year, we announced locked mode—a new way to ensure students are distraction-free when taking Quizzes in Google Forms. We’ve also been working on a better grading experience in Classroom. We’re now opening up locked mode and Gradebook via a beta program, so sign up to express interest. For a lot of teachers, a day in the life might look like this: teach innovatively and creatively, quiz without distractions, grade efficiently, give thoughtful and constructive feedback, repeat. Teachers assess knowledge and check for understanding every single day, and many use Quizzes in Google Forms to do just that. But we’ve heard feedback from teachers that they want to ensure their students aren’t navigating to other browser tabs while taking quizzes. 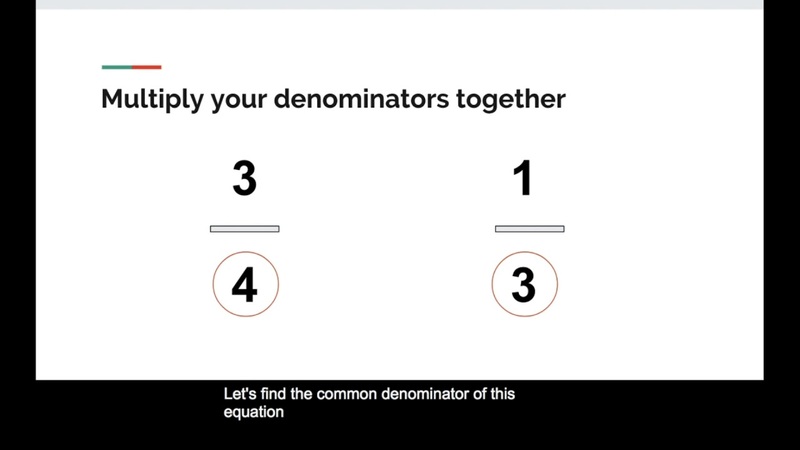 Available only on managed Chromebooks, locked mode prevents students from navigating away from the Quiz in their Chrome browser until they submit their answers. Teachers can enable locked mode with a simple checkbox in Google Forms, giving them full control over assessments. 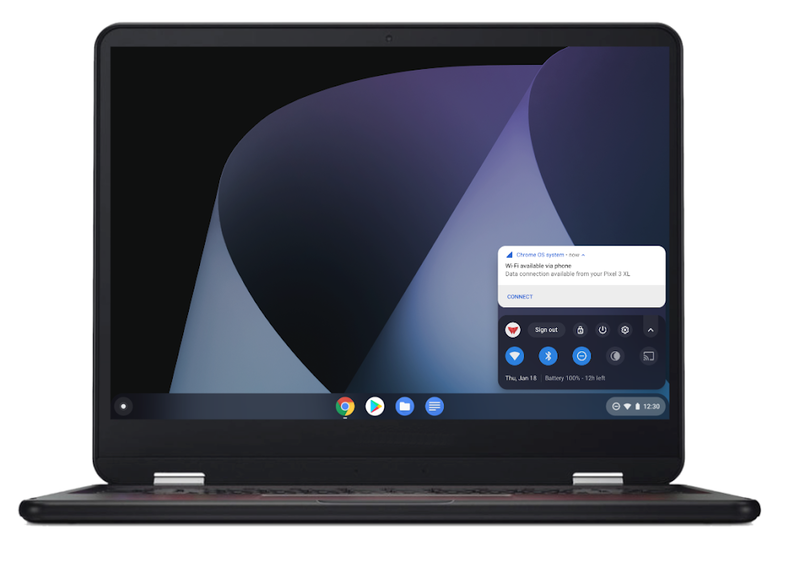 Built-in Chrome OS accessibility tools such as ChromeVox, select-to-speak and visual aids— including high contrast mode and magnifiers—are all available when using locked mode. And to support students who use Chrome extensions during test taking, teachers can find out which extensions are available with locked mode. Introducing new tools means extra support: we’ve created a step-by-step guide, brief animated tutorial, and new Help Center instructions for Instructional Coaches, PD partners, and teachers to make learning how to use locked mode even easier. Don’t yet have Chromebooks and want to learn more? Get in touch. To streamline the assignment process, we’ve also added the ability for all Classroom users to create a Quiz directly from Classroom. Instead of creating quizzes in a separate browser, you can create a quiz and assign it directly to your class, or multiple classes. View grades in one place:A new Grades page lets you can view a grid of submissions across assignments to easily enter grades, saving time and providing a holistic picture of a student’s progress. Average grades:In the gradebook grid, you can view average grades per assignment and per student, and see the overall performance in your class. You can share progress with students, so they can track their grades and know where they need to improve. Grade categories & settings:You can select how to calculate grades (weighted average or total points-based), add grade categories to classwork, and choose whether you’d like students to see their average grades. Access these from the Settings page. Locked mode is only available on managed Chromebooks, and you’ll need to make sure your Chromebooks are running operating system 68 or higher. We’ll be slowly phasing the rollout for locked mode and Gradebook. If you’re interested in the new features, all teachers and administrators can express interest in either of the betas. We’d love to hear all of the ways you’re using locked mode in Quizzes and improving your grading experience during the beta period, so please send us feedback using the “send feedback” button. This entry was posted in Google Chrome Blog and tagged Chromebooks, classroom, Education, G Suite on November 29, 2018 by Google Chrome. My students on kindergarten graduation day... all decked out in gear from my alma mater, our class' theme. Mono Audio:For users who have limited hearing in one ear, there's a Mono Audio option to play the same sound through both speakers. Turn this feature on in Accessibility settings. Slides: Turn on closed captions in Slides to support students who are deaf, hard-of-hearing or ENL. Simply use Ctrl + Shift + c in ChromeOS/Windows or⌘ + Shift + c in Mac. Visual aids:Enable high contrast themes in Gmail and browsing, and use powerful keyboard shortcuts for those who can’t or don’t want to use a mouse. Collaboration:G Suite works on all different platforms including Windows, Android, iOS devices and even multiple devices at one time. You can all be on different devices and still collaborate in real time. Screen reader & magnifier:Turn on the features in accessibility settings to zoom in or use the screen reader in Docs, Calendar, Sites, Classroom and even in other browsers. This entry was posted in Google Chrome Blog and tagged accessibility, Chromebooks, Education, G Suite on October 24, 2018 by Google Chrome. Schools tell us that Chromebooks fill three big needs: they’re easy for students and teachers to use, they’re easy to share and they’re easy to manage. Today, we have some exciting news about the management of Chromebooks that will make the Chrome Education license—our cloud-based device management console—more accessible to schools across New Zealand. This follows on theannouncementlast year that Chromebooks are the number one device used in New Zealand schools, and is great news for schools and families using Chromebooks or considering investing in them. Starting on November 1, as part of an agreement with Google and the New Zealand Ministry of Education, all state and state-integrated schools across New Zealand will be able to start claiming Ministry-funded Chrome Education licenses to manage new and existing unmanaged Chromebooks. The Chrome Education license was developed to make device management in schools a breeze, so that teachers and students can focus on what’s most important—teaching and learning. Equipped with the Chrome Education license, schools can utilize essential education features to better support the many ways Chromebooks are used in the classroom. Point England School, part of the Manaiakalani community of learning, have been using the Chrome Education License to manage their Chromebook fleet since 2013. The Chrome Education license allows schools to update any number of Chromebooks (once they are enrolled)—without touching a single one. In the simple cloud-based management console, there are over 200 policies that schools can apply to manage their fleet of Chromebooks. You can learn more about them here, but for now, here are three of them that are sure to be the teacher’s pet! Give teachers and students confidence that during class, they’re all the on same webpage! The Education license lets school admins and teachers customize the user experience. This is a handy feature that can automatically load frequently used websites—such as Google Classroom, Khan Academy—on boot-up, as well as adding custom bookmarks, pinning apps and extensions, and blocking distractions. The “off-hours device policy” feature is particularly helpful for Chromebooks that are used at school and as the family device. For example, school admins can set a weekly schedule so that school settings are in place when students are using Chromebooks in class but, these same settings can be scheduled to turn off after school hours so they don’t apply when a parent might be using the device. You can use the Education license to display digital signage, keeping students and parents informed. It’s simple to set up school-wide displays on computers in the library and monitors around the school to advertise of key school events and moments, like parent/teacher evenings, carnivals and assessment times. 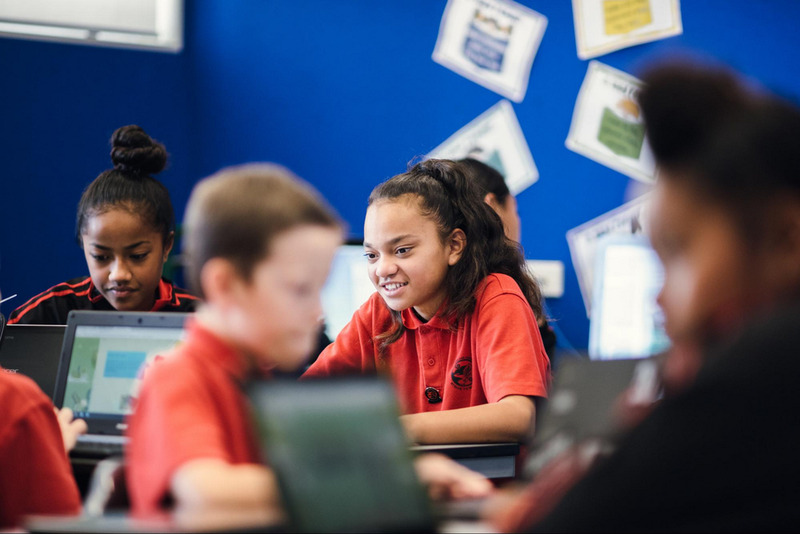 We’re excited to see the growing number of countries like New Zealand partnering with Google to support teachers, schools and families to improve the use of technology in education. This entry was posted in Google Chrome Blog and tagged Chromebooks, Education on October 22, 2018 by Google Chrome. You’ve heard it countless times. But what you don’t hear much about is the effort that goes into planning the attack on Westeros during the winter—it’s a real operation. There are new recruits to onboard, wargs to avoid, and 700-foot walls of ice to break through. Under these circumstances, a little organization and a Chromebook go a long way. The Game of Thrones' army of the dead is collecting everything new recruits need to know into a single Google Slides presentation made with Chromebook. Now you can learn a few things about collaboration from the way they work. Disappointed with your team’s performance? Tell them exactly where they fell short with a comment in Google Slides. Stuck in another meeting about scheduling an invasion? Start doodling alternate routes in Evernote. Need your headshots to look professional, yet terrifying? Make photo adjustments in Adobe Photoshop Lightroom CC to give yourself that icy edge. You can do it all on Chromebook. Job candidates are on the rise, you can be one of them. Map it out with diagrams and charts in Slides. There are real benefits to joining the army of the dead. The Night King does it all on Chromebook. This entry was posted in Google Chrome Blog and tagged Chromebooks on October 22, 2018 by Google Chrome. It's October. Pencils—once sharp and eager to write in August—are starting to dull. Students are gazing out the window, and it's not just because of the falling leaves—this happens every October, when the newness of the new school year has worn off. To fight this Octoberitis, some educators get students moving by doing a gravity experiment in the stairwell, or role play activities during history. While you’re experimenting in the classroom, we’ll be launching new tools to help you keep the learning spark alive, and make the longer days feel shorter. And want to know something that’s made our October a bit brighter? We’re excited to announce that over 40 million students and educators are now using Google Classroom, and 30 million are using Chromebooks, on top of 80 million using G Suite for Education globally. Back when we learned with just pen and paper, math class and functions could seem dull. But now, augmented reality can add another dimension to your lesson. With the latest update to the Acer Chromebook Tab 10, it became the first ChromeOS device to support ARCore, Google’s platform for building augmented reality experiences. 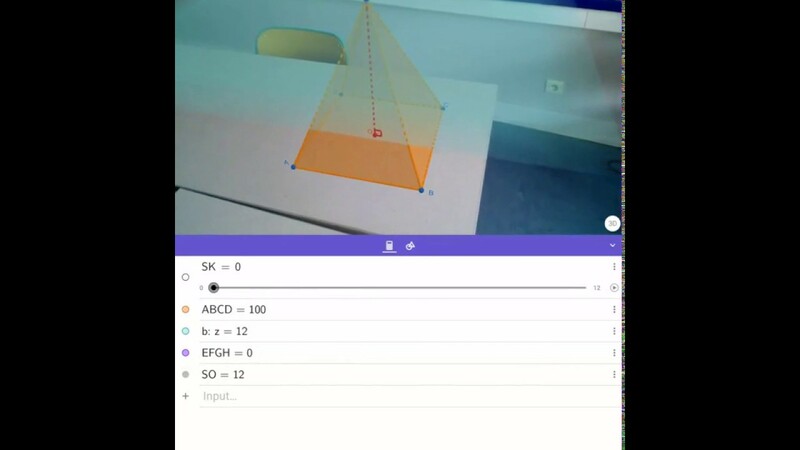 Developers can build AR experiences for classrooms, like GeoGebra, an interactive geometry, algebra, statistics and calculus app. Students can toggle between 2D screens and AR in the 3D app as teachers guide them in exploring math in new ways. Using the Acer Chromebook Tab 10, educators can bring everything from a skeleton to the solar system into the classroom with the help of Expeditions AR. With content from partners like Houghton Mifflin Harcourt and Oxford University Press, the world comes to you when you can drop the works of Van Gogh into the middle of your Art History lesson, or a great Kapok tree when studying the rainforest. To unlock the power of AR, ask your IT administrator to enable these Android apps, and make sure your tablets are upgraded to the latest operating system. To conduct a science experiment, the only equipment you’ll need is a Chromebook. Students can complete more than 40 science labs which map to high school biology, chemistry, and physics standards with Labster Chromebook labs. These online labs allow schools to offer unlimited lab practice time without needing to buy any extra equipment. Not only that, but these labs can also be assigned and graded with the Classroom integration, and teachers can track how students are progressing. To get labs at your school, visit labster.com/chromebooklabs. You spend hours planning and customizing lessons to engage every learner in your class, but it can be difficult for students to follow along in rigorous and fast paced learning environments. To support students and faculty who are deaf or hard of hearing, we built closed captions in Google Slides (only available on Chrome web browsers), which uses machine learning to turn on automated closed captioning when presenting. Captions are currently available for U.S. English language only, but stay tuned as we explore adding more languages. Learn more about accessibility features in G Suite and ChromeOS. We’ve launched new Docs updates to make writing a paper in MLA format a smoother process. You can already set left and right indentations as well as set hanging indents via a dialog box. Now, students and faculty can also adjust the margins of headers and footers, and use a vertical ruler to adjust placement of table rows and header and footer margins. Educators can also give feedback to students in Classroom or Course Kit, our free toolkit that allows instructors to use G Suite within their existing LMS. Using the new grading tool, educators can leverage the comment bank to give feedback on Docs and PDFs. Use G Suite for Education but have a different LMS? Request access to the Course Kit beta today. Jamboard - the collaborative whiteboard app - can also help shake things up. We’re bringing the jam to the web, where anyone can create and collaborate on jams from individual Chromebooks, no Jamboard hardware required. And with the new View Only mode, teachers can share jam sessions from their lessons that day while restricting edit access. Have a BYOD policy, or enabling Device Off Hours? Jamboard on the web is an easy solution for collaboration. If you’re interested in trying out a Jamboard device in your classroom, you can apply for the new Jamboard Learning Space Transformation program. Continental U.S. based G Suite for Education customers can submit a proposal on how you’ll transform your learning space with Jamboard today. Be sure to follow along on Google for Education’s Twitter and Facebook pages. We love hearing from you, so please share your tips for the best October yet. This entry was posted in Google Chrome Blog and tagged Chromebooks, classroom, Education, G Suite on October 16, 2018 by Google Chrome.